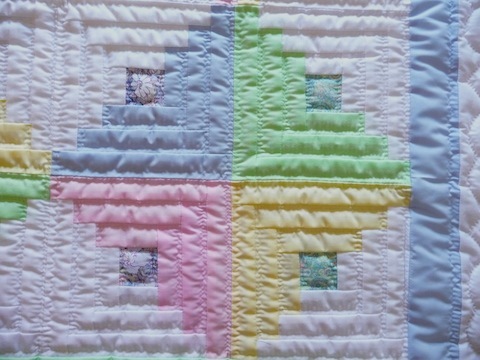 Who doesn’t love this great traditional Amish Log Cabin Quilt pattern? 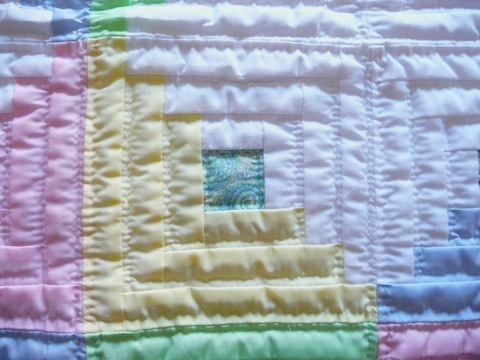 The artist created our Log Cabin Baby Quilt using an array of solid colors including yellow, green, blue and pink. 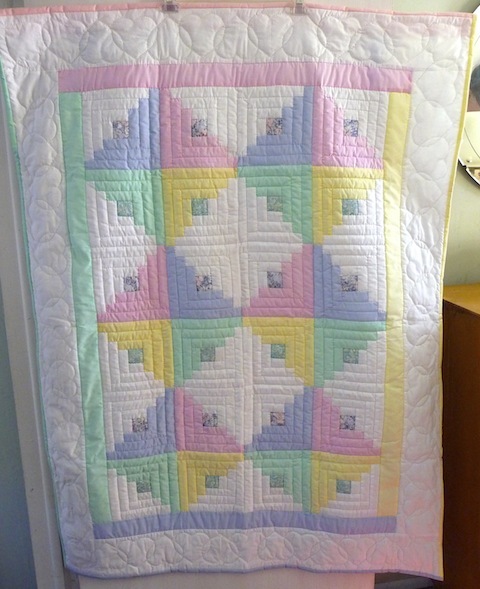 The color selection of dye fast fabrics makes this not only a lovely unisex infant quilt but a highly usable one as well. 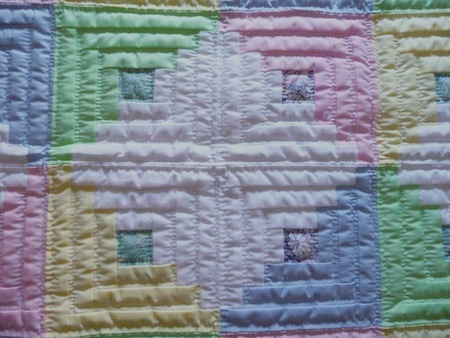 The “logs” of our Log Cabin Baby Quilt surround a central square of paisley print fabric. All “logs” are hand quilted in the ditch. 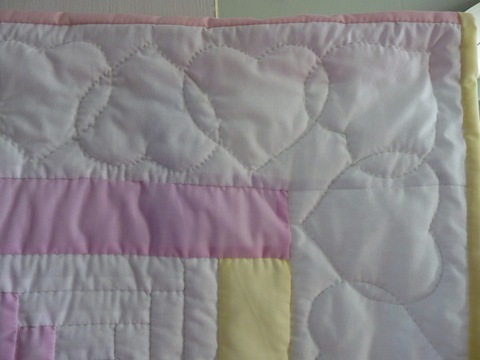 Every baby quilt is different. The photos here represent a sampling of this particular pattern. Your quilt may differ slightly.